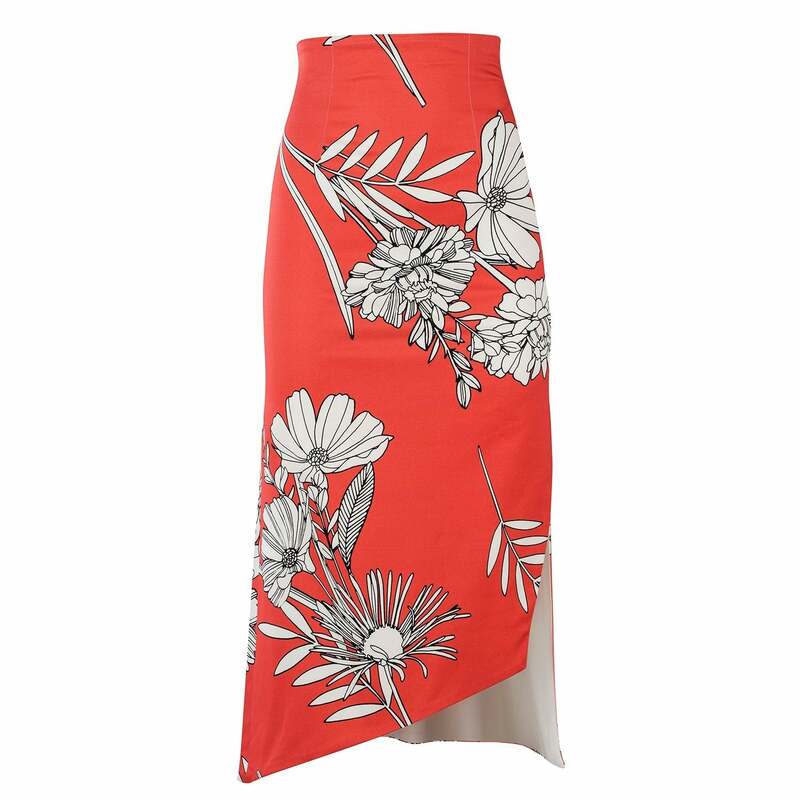 Feminine andcurve-enhancing, the Gimme skirt is a great way to wear the season’s upbeat colors. 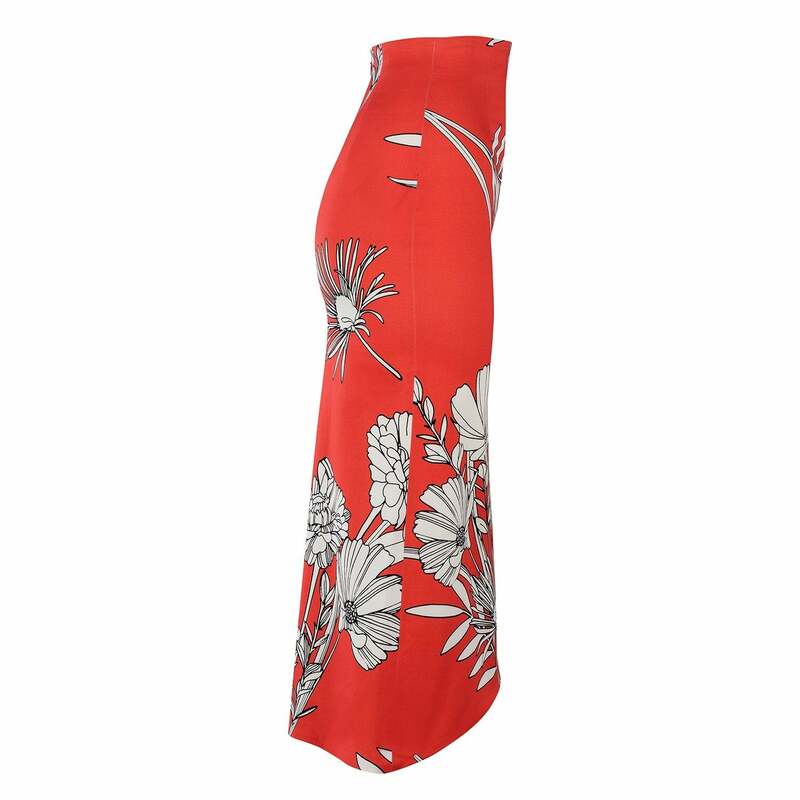 Cut from sturdy, yet soft cotton fabric, this printed piece features pink and red flowers over an emerald green background, that beautifully contrasts with an aubergine lining that subtly stands out thanks to a prominent side slit. In the back, a hidden zipper ensures a seamless fit. 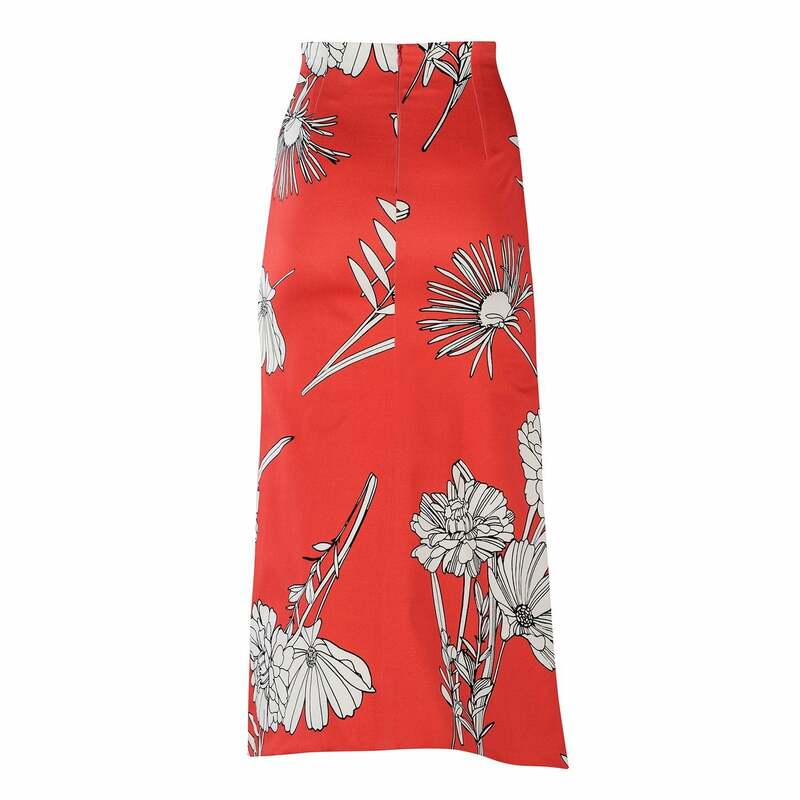 Wear this skirt with the Budokan shirt in one of our favorite looks of the collection.